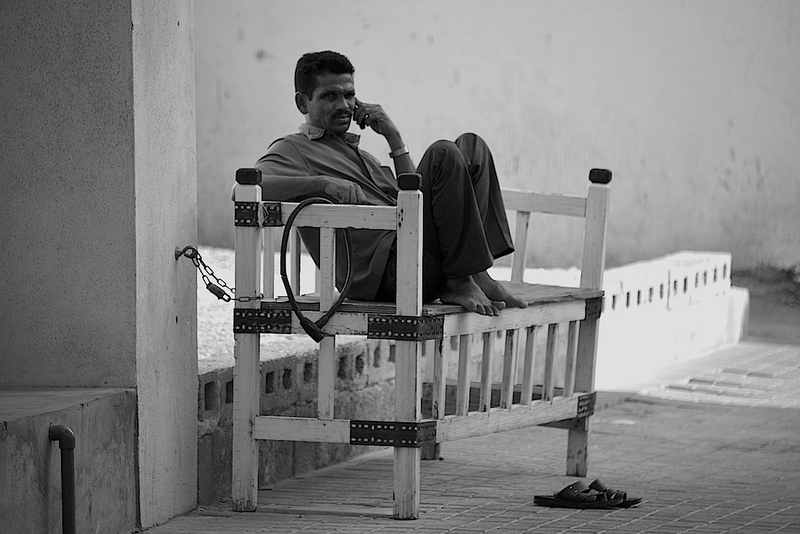 I observed this man in Bahrain’s Muharraq Suq. Though it did not count for much when I clicked, the chains on the bench are ominous. Sadly, this signifies life for countless thousands in this part of the world – people who leave their homes and families in search of a good life but end up in shackles of another kind.